Natural saltwater filtration systems have been gaining popularity in the aquarium industry due to their effectiveness for properly balancing a marine ecosystem. A Creation of the Sea saltwater aquarium in particular, uses a kind of filtration system that is completely natural by design and operation, as well as eco-friendly. As a result, our aquarium systems do not contain external (remote) pumps, chiller units (for water cooling), or require any dosage of chemicals to maintain good health. This all-natural method allows our saltwater aquariums to operate in quiet fashion and provide hassle-free maintenance. Our company only uses saltwater aquarium equipment for lighting, oxygenation, and water temperature. The items utilized to generate these effects in the aquarium are the highest-grade products in their class, and are the best in reliability, durability, price, and energy consumption. 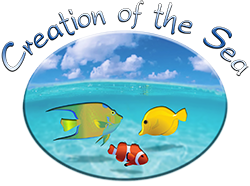 The simplicity of a Creation of the Sea saltwater aquarium system allows a person to enjoy the beauty of sea life in peace. The ecosystem in our aquariums is kept alive mostly with natural oceanic substances and living filters. Most of the sea life in our saltwater aquariums are essentially these “living filters”. 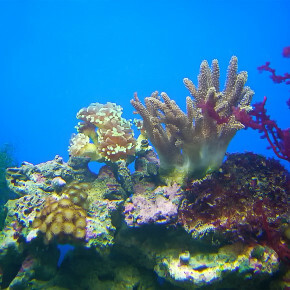 Fish, invertebrates and macroalgae are some of the best natural filters for a saltwater aquarium, as they all play a vital role in maintaining the health of an oceanic ecosystem. This delicate balance of sea life, in conjunction with the use of natural oceanic substances, is Creation of the Sea’s trademark for naturally filtering a saltwater aquarium.